Blik, a company local to California recently hired Xlnt Tint to do a job that we often don’t see. This is one of those jobs where you wouldn’t really think needs window film, but after it was completed made sense and it made us think, “how could tint not be installed at this place before this project?” In this instance, it was a security booth. Security booths are important to large business firms and manufacturers. They oversee keeping the business or corporation safe by preventing unauthorized persons off the property. That means being outdoors all day giving or preventing access to people who come in, and during the day it can get extremely hot in a security booth! Most are not airconditioned and the whole booth is surrounded by windows making it the perfect oven for anyone inside. One solution is to this is cracking the window open, but that can be a security risk. 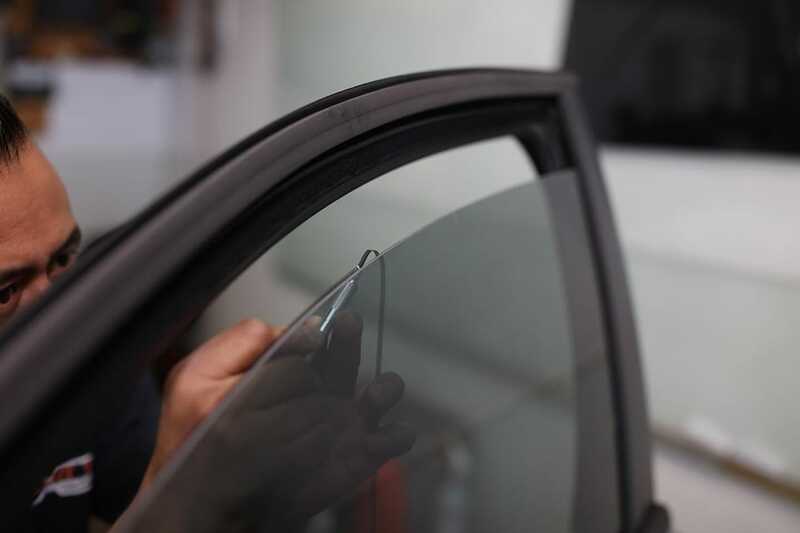 What would work best is an insulator to keep the cold air in and the hot air out, and that’s where Xlnt Tint comes in! Provided by 3M, we have a special window film called Night Vision where 66% of the heat and 99% of the harmful Ultra Violet light is rejected. What makes this window film so special, other than the heat and UV rejection, is that unlike other window films applied on buildings this window film keeps visibility from the inside, even when it is dark outside! From the outside the booth has low visibility, making it hard for anyone to see in unless they drive up and talk to the security guard. From the inside, the guard can see everything that is going on, just as if there was no window film applied at all! Xlnt Tint was able to install the Night Vision window film in under two hours allowing the security guard to return to his much cooler post in no time! If you are interested in getting read more about our 3M Night Vision window film click here: http://xlnttint.com/residential-commercial-products/night-vision-window-films/ and schedule an estimate at 714-630-6227!